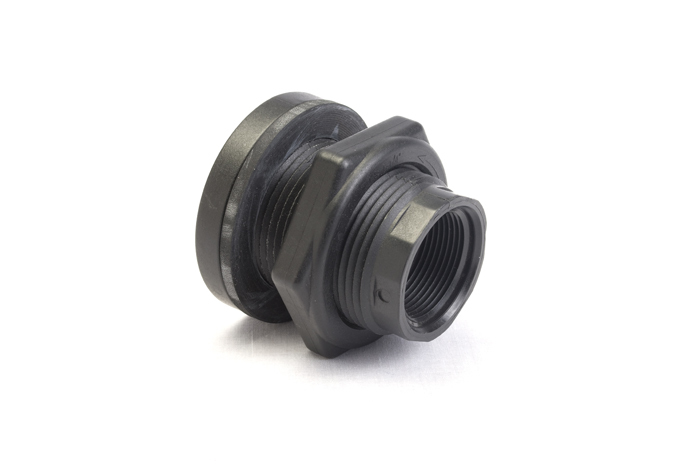 “These plastic fittings allow a threaded pipe connection to be made onto the tank. 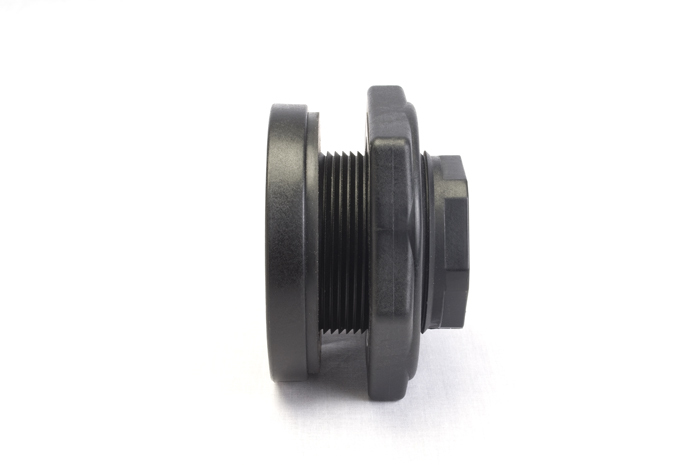 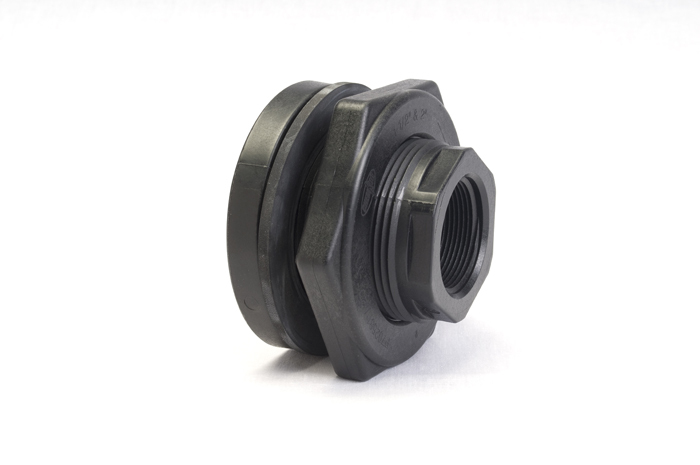 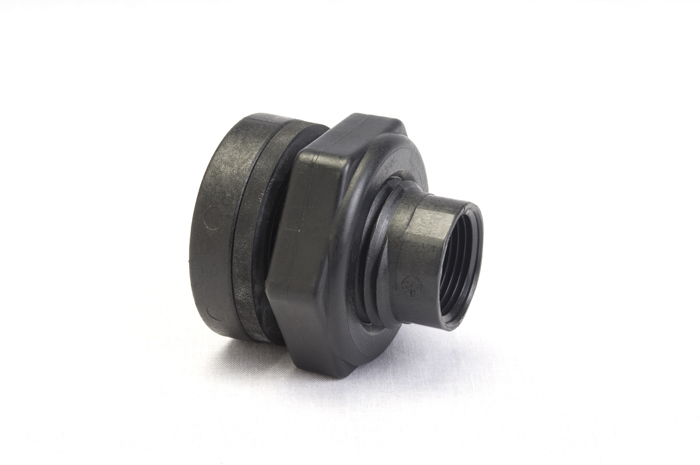 Fittings are installed by cutting a hole in the tank wall with a standard wood hole saw and inserting the fitting and gasket from the inside and locking in place with a reverse thread nut on the outside. 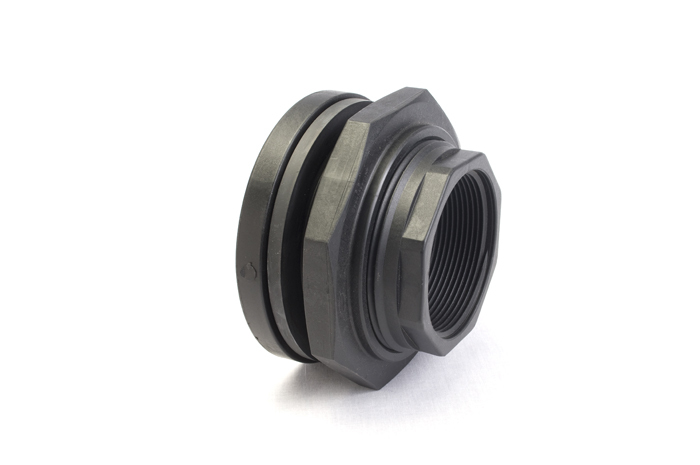 Do not overtighten the nut. 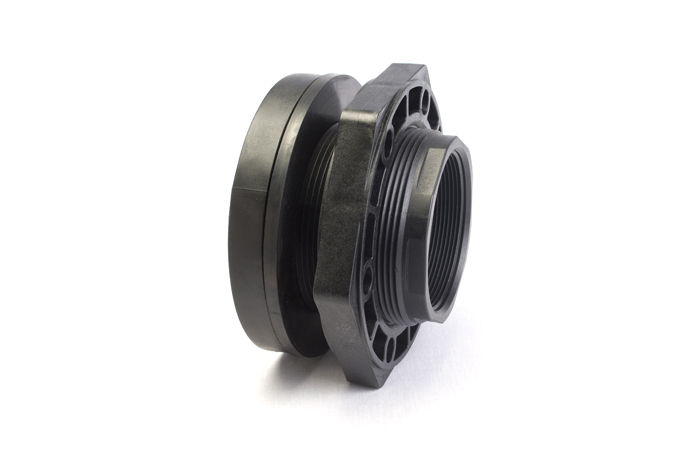 It is important to cut the hole to closely match the fitting size being installed. 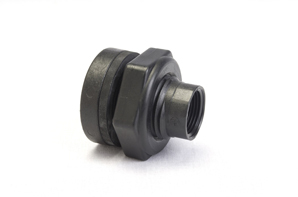 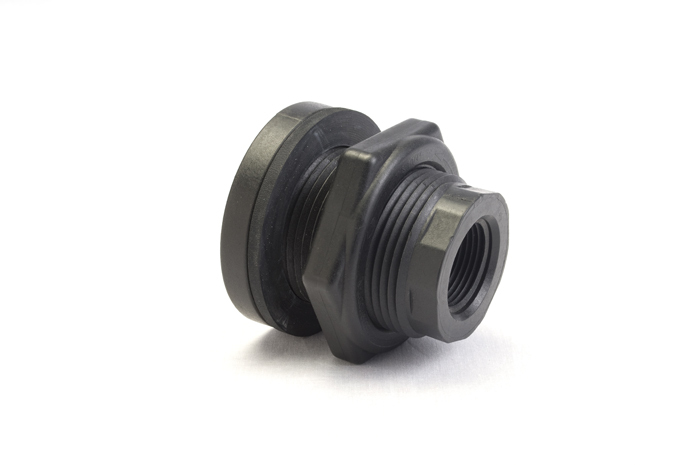 Hole sizes required will vary between fitting manufacturers.